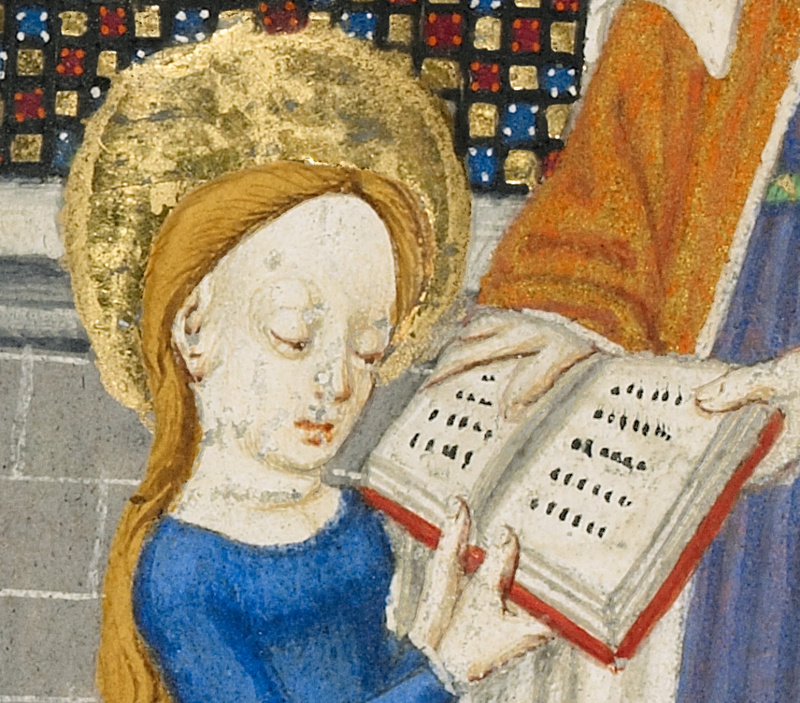 The young Virgin Mary holds an open book as her mother, Saint Anne, guides her reading. Saint Anne's teaching of her daughter is described in The Golden Legend, a collection of popular stories about the saints. 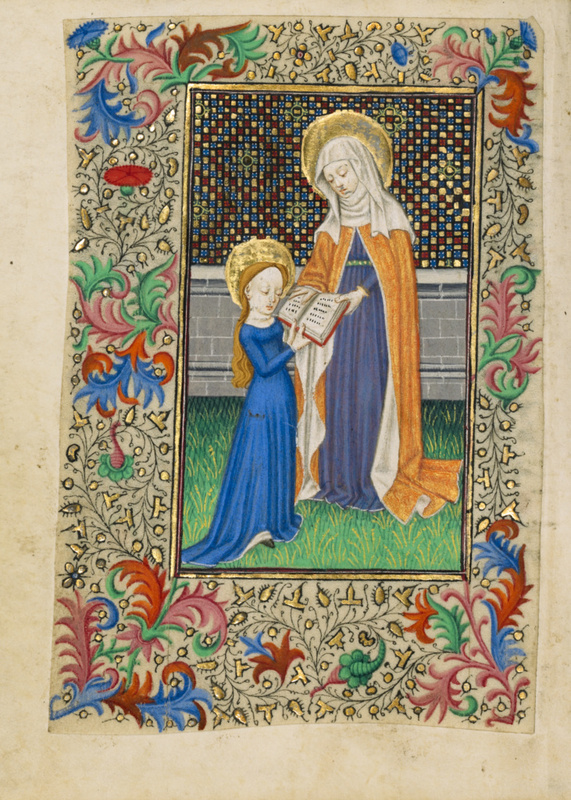 This image also reflects the use of books of hours, such as this one, as primers for children. The glittering gold, blue, red, and green checkerboard pattern that fills the background of the scene was a typical decorative motif in manuscript illumination around the year 1400.